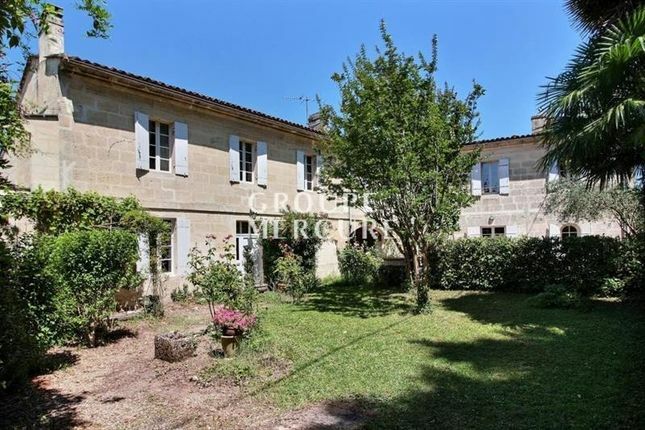 Beautiful mansion of the 19th century, located in the "Premires Ctes de Bordeaux", comprising a main building of 270 m and an outbuilding with an independent access (guest house on two levels with a surface of 68 m). The property is surrounded by a park and a closed garden of about 2 200 m, with driveway. A pleasant terrace borders the house and the covered swimming pool of 8x3m. Independent garage, 2 cars. Well. In great condition. All amenities.